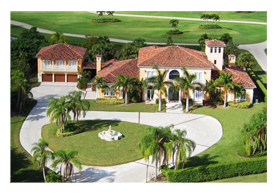 Kathleen Gannon brings a unique and insightful expertise to matching you with your dream home in Wellington and the Palm Beaches. 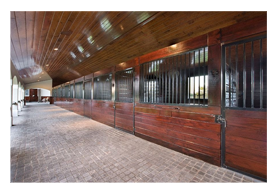 Her vast international experiences and profound knowledge about the south Florida real estate market is uniquely seasoned by her lifetime personal experiences as a world class equestrian show jumper and U.S. World Cup-winning polo player, as well as multilingual international businesswoman with an academic background in international relations. Kathleen's competitive nature as a top-ranked sportswoman and international businesswoman make her an highly effective and personable advocate for every client seeking their ultimate dream lifestyle. Having spent her lifetime in Wellington and the Palm Beaches, Kathleen has cultivated a plethora of deep-rooted relationships within this tight knit community that provide her with an invaluable perspective and insight into understanding the local real estate market. 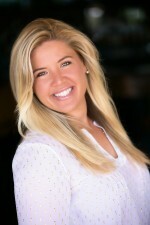 This background enables her to identify every possible opportunity to finding your dream home. Her vast business and personal relationships in the local real estate market, coupled with an entrepreneurial family background and energetic personal zeal, position her to maximize every real estate deal to its fullest potential for the most discerning clients. Shops, Restaurants, Movies, Fashion and more! Get updates of the latest listings as they hit the market. Fleur-de-Lis International Realty is so excited to host its Launch Party on the Oasis Yacht on March 11, 2016, welcome our new Sales Associates to the team, and celebrate with our customers and friends, from France to Florida! There’s no better way to find your Palm Beach dream home than cruising on the Intracoastal. Pictures from the event coming soon, along with more information about Fleur-de-Lis International Realty and how we can help you find your new home! Love where you live… live where you love! Copyright © 2014 kathleen gannon. All rights reserved.